We were faced with a 100 mile drive after work, but it would be worth it. The bachelor party was in Saginaw for a friend I had worked and roomed with on an earlier assignment for the Michigan State Highway Department (MSHD). It was Friday, January 20, 1961, and President Kennedy had just been inaugurated that afternoon. I was scheduled to take a civil service examination the next day, but when I was young I didn’t worry about things like that – I could sleep on the way home and Mike could drive. 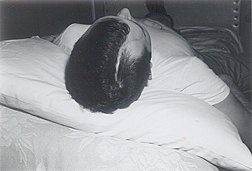 "Home" was rental rooms about three blocks from the MSHD office in Detroit. We had just received word that day about the party and quickly decided to go. 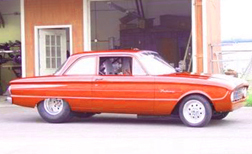 I had purchased a 1960 Ford Falcon just two months earlier and planned to wear my new sweater and jacket, so I was ready for the drive and ready for the January weather in Michigan. Traffic on M-24 was light and we made good time. We visited with Don and caught up with things since we had last seen each other. I didn’t know anyone else at the party, but still had a good time. With no girls, the party broke up relatively early. We took a one-third full vodka bottle and filled it with orange juice in case we needed a little sip on the way home, and were on our way. I got us out of the Saginaw area and well on our way before we stopped for a cuppa and a bite. While we were eating I started feeling sleepy and asked Mike if he could get us home. He was fine with that. He stayed for another cup of coffee and I went out to the car. In the passenger seat I was asleep right away. Noise, movement, and then pain woke me up. Mike had fallen asleep, drifted off the road, and hit a parked car. Our car did a 180 and ended up in the ditch. Mike hit the steering wheel and sustained a nose laceration and some body bruises. 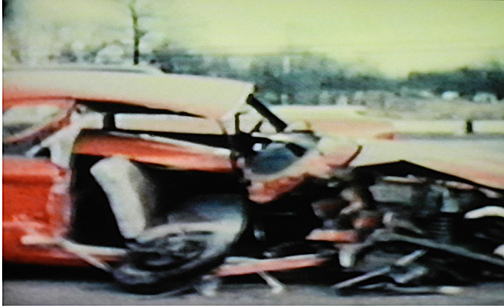 The crash peeled off the right front fender and wheel, and the passenger door. The dashboard crumpled down and broke my leg and the roof caved in and snagged me just below my right eye. My forward momentum used the snag like a knife to peel off the right side of my scalp. Somehow the eye was untouched. Mike got out to check on me. He thought I was dead. He retrieved the bottle from under my seat and threw it as far as he could into the woods. He shook me a little and I came to long enough to tell him I had a “broken leg and a cut on my head”. The car had spun in the right direction to keep me in the car, but with the door and windshield gone, I had no protection from the cold. I was bleeding profusely. A good Samaritan stopped and sacrificed a blanket to wrap me up. They then went on to call for help. Medical help was there within about 20 minutes. We went to Pontiac General Hospital. Mike was released soon after receiving some first aid and making arrangements for transportation. I have no memory of my removal from the wreck, the trip to hospital, check-in, first aid, or even the work of the plastic surgeon on call, who was an artist. He took “before” pictures for insurance and proceeded to sew me back together. The “before” pics are very graphic. I have purposely left them out of this Ponogram so you will not see them without warning. However, if you want to view them you may by taking a positive action. Click here to see the “before” and “after” pics on a separate page. Close (X) that page to return to this Ponogram. The next day a quack set my broken leg (more on this later). I had a foot to thigh cast and a pair of crutches for walking. 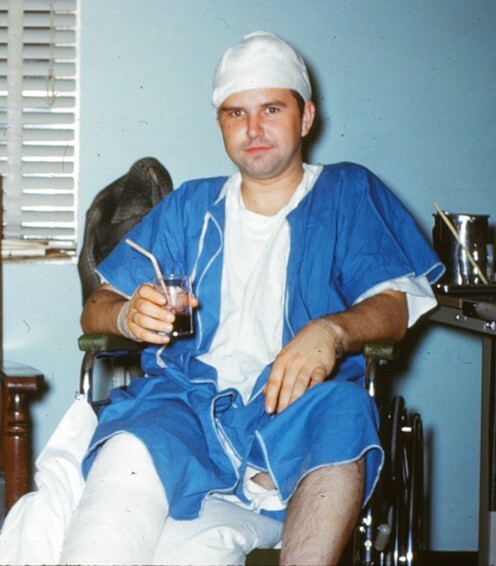 I don’t remember much about the hospital stay – I was probably sedated or doped with pain medication. Seems like there was a “special” nurse – wish I could remember. My dad picked me up from hospital in his Buick station wagon. He had borrowed a gurney from the local funeral home and found that it fit in the back of the wagon. I wanted to sit up for the ride, but he insisted that I lie down. My father was not very outgoing with his feelings, but once we were settled in the car, he put his hand on my head and told me how happy he was that I had survived and was going home. Our apartment in Perry was upstairs of the bank and had a tall set of stairs outdoors to reach it. Dad found a couple guys in the drug store to help and they carried me up the stairs on the gurney. I guess they were a little surprised when I got up and walked away on my crutches. I was home for just two weeks but got very antsy. The car had been totaled; the new clothes had been blood-soaked and were cut off me in the hospital. The insurance adjuster visited me at home and we came to a settlement. MSHD agreed to let me come back to work in a cast since I had an office assignment. My room in Detroit was a short walk from work, a restaurant and a bar. I got quite proficient with the crutches, with a couple exceptions. A sleet storm posed one challenge. Another time one crutch got away from me when I was ascending the inside steps to my room. The clatter brought my landlady running – I thought she was going to have a heart attack. I was fine. I was in the cast for 13 weeks. My leg withered significantly. I developed an ulcerated spot on my shin that wouldn’t heal, even after an attempted skin graft. I was not given any therapy after the cast came off. I walked with a cane and had a limp for a long time. Fortunately I was on light duty and my coworkers were tolerant of my limitations when I went back to field work. Eventually my leg got back to normal (pretty much), although the thigh remains a bit thinner than the other one to this day. 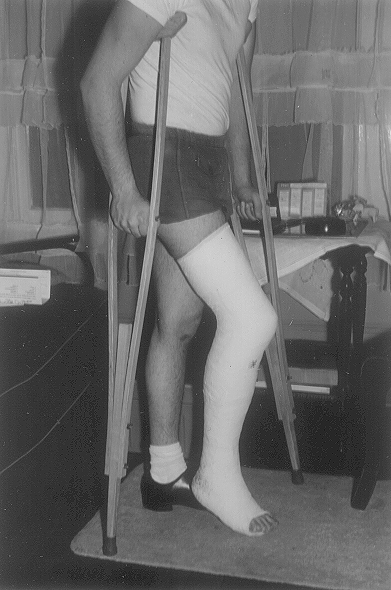 A combination of non-use of the right leg for 13 weeks and extra-use of the left leg for that period was the source of the difference. In 1962 a plastic surgeon cleaned up the scar under my right eye. 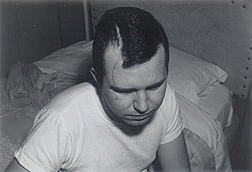 The scar from the eye to the back of my head was never touched again and is difficult to see. Some folks think my head has never been quite right, but I don’t think they are referring to the accident. In 1985 I developed pain and noises in my right knee. A doctor said adhesions from all the scars on my knee were pulling the kneecap out of position and he should rework the scars and perform arthroscopic surgery to correct the situation. The surgery released the kneecap, removed the loose cartilage from under the kneecap, and drilled holes in the kneecap to promote cartilage replacement. During this work, the surgeon found green material embedded in the scars, and noted that the anterior cruciate ligament (ACL) was missing. In a follow-up appointment I was allowed to view the video of the surgery. This was the first time I had a chance to see the inside of a part of my body. (Since then I’ve seen the inside of my nose including voice-box, the inside of my colon, and dental work on live video, as well as ultra-sound of my gall bladder, heart, and various organs.) I was prescribed physical therapy, but even with that, it took me weeks to recover. I still favor the right leg. No medical doctor has confirmed this, but I believe that the quack who worked on my broken leg in 1961 is to blame for failing to clean the wounds before sewing up my knee (green material was probably paint from the dashboard), and for improperly setting the break (causing the ulcerated spot on my shin and the erosion of the ACL). Of course, the ultimate blame for all of this goes to me, the crash dummy who decided to do something quite stupid.